“Black Lightning” won’t hit The CW until 2018, but executive producers Salim Akil and Mara Brock Akil gave TV fans at ATX Television Festival in Austin, Texas, some inside scoop during their Sunday panel. 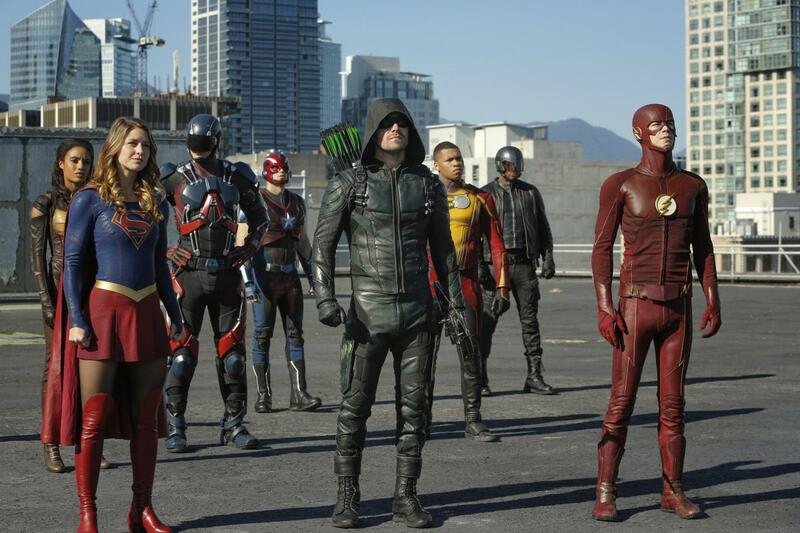 The power couple discussed the political side of the superhero show, the connections (or lack thereof) to other Arrowverse shows and more. Long Term Villains: While many of the superhero dramas follow the case of the week format, it sounds like Salim and Mara don’t want to waste time on villains without digging deeper into their backstories. It sounds like viewers will spend plenty of time with a baddie called Tobias (presumably Tobias Whale, who was introduced in the first “Black Lightning” comic). Jefferson The Protector: Part of the reason they wanted to tackle Black Lightning’s story is because he’s a black father who defies the deadbeat stereotypes that are so often portrayed on screen. “That image of a father saving his daughters, protecting his family, protecting his school, protecting his community, it is happening, but it’s not the narrative [on most shows and movies],” Mara said. LGBTQ Representation: Mara noted that Anissa (who will become the superhero Thunder) is a lesbian, just as she was in the comics, and it sounds like other characters who identify as something other than heterosexual will be included as well. The writers aren’t planning to tackle LGBTQ characters as a special issue, though. They’re just including the characters the way anyone would be included in life. Outside The Arrowverse: “Black Lightning” is produced by Greg Berlanti, but it’s not actually part of the CW’s Arrowverse, which includes “Arrow,” “The Flash,” “Supergirl” and “DC’s Legends of Tomorrow.” The showrunners wanted to create a new world, but they aren’t completely nixing the idea of crossovers eventually. “The storytelling is a little bit more political. It’s topical, and it’s a little grittier. … It doesn’t mean that down the road there won’t be visits,” Salim teased. The Police: Salim and Mara were asked about how the show would handle the subject of the police brutality. Salim revealed that Jefferson’s best buddy is a cop. However, he has a complicated relationship with the men in blue when he’s suited up as Black Lightning. He wants to help them protect Atlanta, but when the cops see a 6’5 black man with lightning powers, they’re more likely to shoot first and ask questions later. Anissa’s Powers: Anissa, meanwhile, will be attending protests as a young adult seeking a way to create change. However, her powers will suddenly make that more difficult. “What happens when she’s in a protest and she gets pushed?” Salim asked. “What happens if someone tries to harm her and she has these powers? Does a peaceful protest become a violent protest? Does she become violent?” Fans will have to tune in to find out. 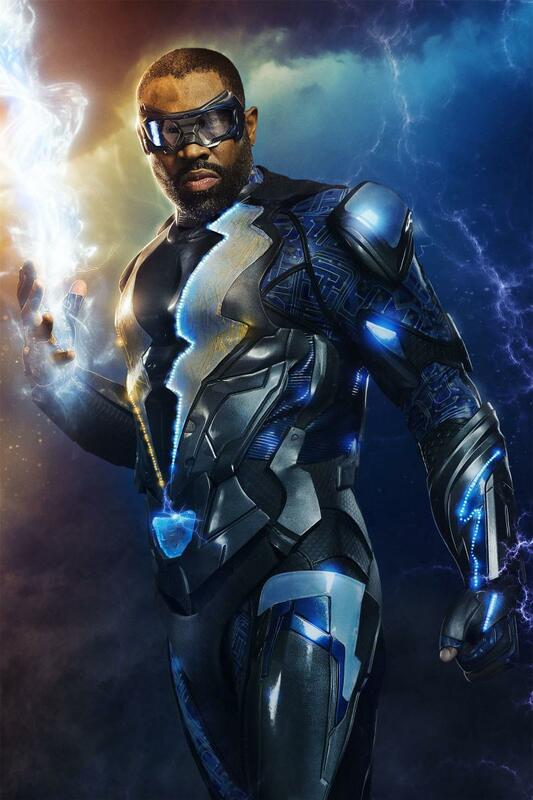 “Black Lightning” will premiere midseason on The CW.